Boca Raton Football Club is proud to announce partnerships with Runner’s Edge and Sign Partners as the official sponsors of the Boca Raton FC Open Tryouts on March 28 at Boca Raton High School. Founded in 1996 by Tom Vladimir and Carol Virgra, The Runner’s Edge is South Florida’s largest running store with over 4,500 square feet in their Boca Raton location, which is located at 3195 North Federal Highway. Working with clients in Boca Raton to help organizations communicate their identity through high quality and precise sign solutions, Sign Partners is a new company in the Boca Raton ready to make their mark. Engaging with their clients with professional attitudes and a result driven approach, Sign Partners believes that working with clients to achieve their objectives is how they measure success. “If a young company like Sign Partners believes in our team, it just goes to show that what we are doing here will be beneficial to the city and the community altogether,” added Castillo. 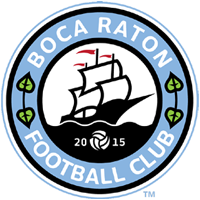 Boca Raton FC will begin the process of building the team that will represent the City of Boca Raton and Southern Palm Beach County in the American Premier Soccer League (APSL) this Spring, by hosting an Open Tryout in Boca Raton on March 28 at Boca Raton High School. Male hopefuls interested in attending the Open Tryout must pre-register online at bocaratonfc.com. The registration fee to participate in the tryout will be $25 per player, and must be made online during the registration process. Spaces at the open tryouts will be limited and by pre-registration only. Early registration is encouraged.